The next time you notice negative thoughts creeping into your mind, just take a moment, breathe and ask yourself if there’s a way to change your outlook on that particular subject into something more positive. You may surprise yourself! Love this tip. Though, I admit it is something I have a lot of trouble doing. Everything you post truly has a deep and profoundly positive affect on my life. Thank you so much! Thank you so much for sharing your thoughts. I have read The Happiness Project and think that it is a terrific book. Lots of great information in there! Great post! 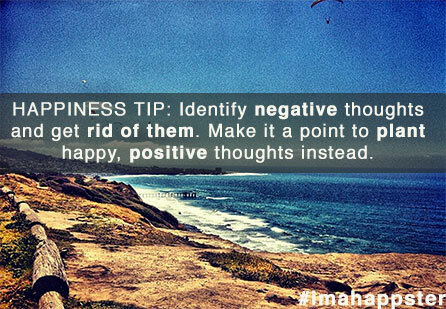 Making a conscious choice to be positive has helped me live happier. Thanks for the reinforcement! True words!! Just reading make me so happy. 🙂 Thanks a lot for sharing! Thanks for keeping me entertained and happy! Love it! Love it! Love it! Negativity breeds negativity and gives negative results. Positive energy breeds (and doubles) positive energy and gives you a life worth living! A simple truth for everyone! 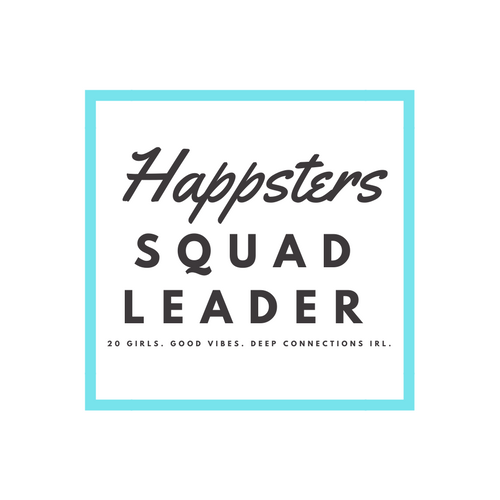 Would love for you to be a Happster! Well it seems we write a lot of the same kind of material! It’s a pleasure to visit and to be visited! Please share anytime.